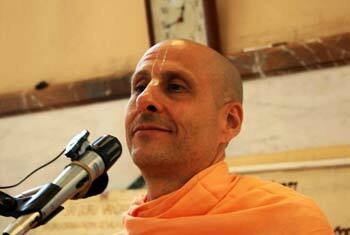 Radhanath Swami Answers: The nature of the mind is like that of a monkey, it jumps from branch to branch. It goes to one branch, then to the next branch, then to the branch next to that, then again the first branch—2nd, 4th, 10th,1st, 9th, 3rd. It’s the way the mind works. But when you give the monkey a nice ripe banana, it’s happy. Similarly, Bhakti is about giving the mind a deep and fulfilling experience. Though we may not get that higher taste immediately, but since we know it’s there waiting for us, that helps us keep the mind steady. 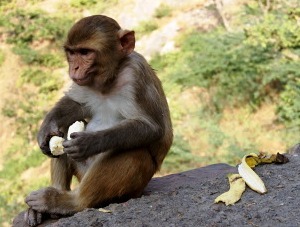 Coming back to the analogy of the monkey, if the monkey has the banana, it will stop jumping from branch to branch even before it has tasted the banana; it stops jumping in order to go through the process of pealing the banana. Our spiritual practice, our sadhana, is like pealing the banana. We know that the higher taste is there – inside – just as the monkey knows that the banana is there inside the peal. And just knowing that it is there, and keeping our mind focussed on the process, our mind can be kept steady. So when we are chanting the holy names the mind will go here and there; do not worry about it; just bring it back. Bring it back to the divine sound vibration, to that object of our meditation. Try to keep it there, and if it runs away – and it will surely run away–we bring it back as soon as we realize it has run away. While we do seva, if we realize our mind is wandering, we just bring it back. 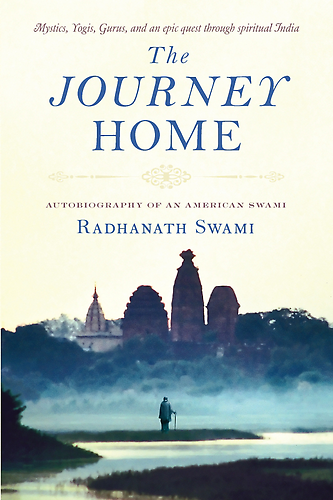 ‘I am doing this for Krishna; let me do it in the best possible way.’ The more we take responsibility to do something wonderful for God – sweeping the floor, cooking a meal or doing our business – if we are really doing it for Krishna, for God, we are going to be attentive to whatever details we can, and that keeps our mind focussed.